One of the most striking and persistent ways humans dominate Earth is by changing land-cover as we settle a region. Much of our ecological understanding about this process comes from studies of birds, yet the existing literature is scattered, mostly decades old, and rarely synthesized or standardized. 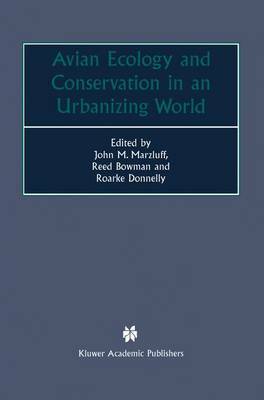 The twenty-seven contributions authored by leaders in the fields of avian and urban ecology present a unique summary of current research on birds in settled environments ranging from wildlands to exurban, rural to urban. Ecologists, land managers, wildlife managers, evolutionary ecologists, urban planners, landscape architects, and conservation biologists will find our information useful because we address the conservation and evolutionary implications of urban life from an ecological and planning perspective. Graduate students in these fields also will find the volume to be a useful summary and synthesis of current research, extant literature, and prescriptions for future work. All interested in human-driven land-cover changes will benefit from a perusal of this book because we present high altitude photographs of each study area.